"For Dave Barber, a trip on Franklin and Bellingham section of the Southern New England Trunkline Trail isn’t just a chance to exercise your legs, it’s an opportunity to glimpse into the past. Barber, a member of the Blackstone River Bikeway Patrol, said he suggested the venue for a ride last Wednesday which was promoted through the Blackstone Heritage Corridor. During the ride, Barber, a member of the Franklin-Bellingham Rail Trail Committee, pointed out sights along the trail that others might miss. 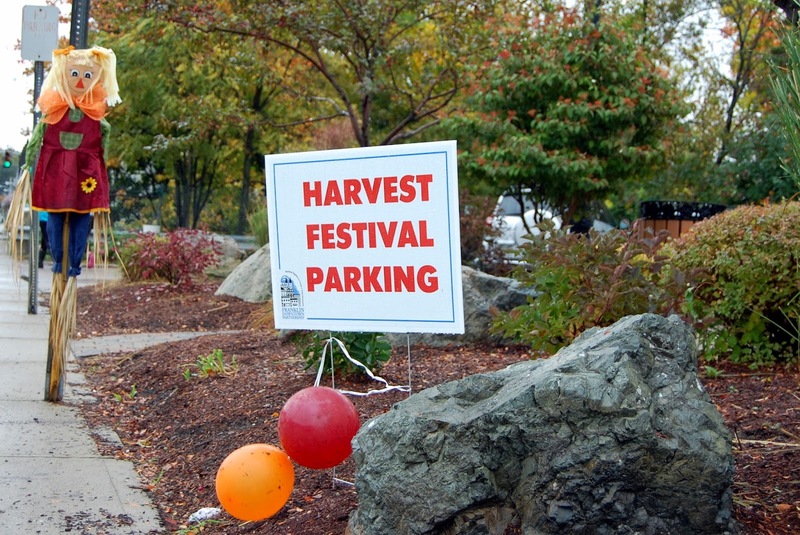 "Franklin Downtown Partnership’s 15th annual Harvest Festival will take place from 11 a.m. to 4 p.m. Oct. 14 on Main, East Central and West Central streets. Plans for the festival are underway and booth space is filling up fast. Visitors will be treated to local entertainment, fall flavors from local restaurants, kid crafts and activities, shop specials, artwork and crafts by area artisans and information from community groups and vendors. Organizers expect booth space for this event to sell out. Partnership members will receive a booth for free; non-members will be charged $125. Downtown businesses must send in an application to ensure storefront space. Booths are assigned on a first-come, first-serve basis." 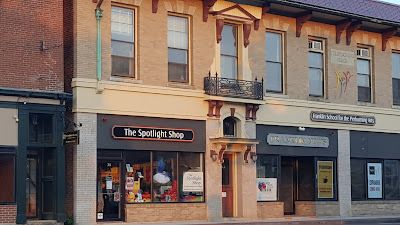 "Franklin School for the Performing Arts, 38 Main St., will expand this fall to assume the entire building of the Felix Cataldo Block in downtown Franklin. FSPA will host open houses from 10 a.m. to 2 p.m. Sept. 9, and from 4-8 p.m. Sept. 19 at the school. The renovation will connect all areas of the existing FSPA facility and provide spacious new dance and music studios, and a first floor waiting area for students and families. The expansion will also create and house Intermission, a new downtown cafe available to the FSPA community and open to the public."